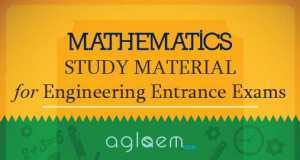 Engineering Entrance Exams Study Material for Preparation for Physics, Chemistry and Maths Subjects are given below. Prepare for the upcoming entrance exams for engineering such as JEE (Main + Advanced), BITSAT, COMEDK, IPUCET. 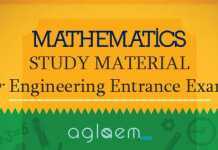 Questions are asked on physics, chemistry and mathematics in all the engineering entrance exams. The difficulty level of each exam is slightly different, but broadly your preparation depends on strong grasp of conceptual understanding, accuracy in answering and speed of problem solving. 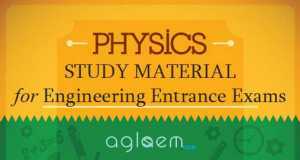 For all the students who will be appearing in engineering entrance exams in near future, topic wise study materials for Physics, Chemistry and Mathematics have been provided here. 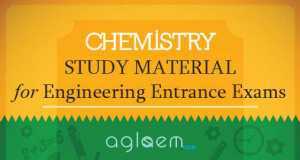 These study materials encompass topics of engineering exams maths, chemistry and physics; those topics from which questions are asked in one ore more engineering entrance examinations. In the chapters you will find explanation of topics, theorems, and sub topics with examples and elaboration. At the end of each chapter also given are exercise questions with answers. We suggest that after you have studied the topic, you first try to solve these questions individually, and then look up the answers. This way, you can simultaneously gauge your preparation and work harder on topics where you lack strength. By dividing the study materials into chapters and topics, we make it easier for you to selectively study based on your areas of strengths and weaknesses. Also, these comprehensive notes will be a quick guide to engineering entrance exams for you. 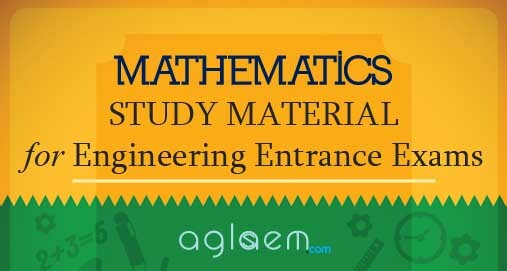 The topics are covered from class 11 to 12, based on all major engineering entrance exams. You can ask any query or question related to the topic. Please simply mention your question in the comments of the relevant page.